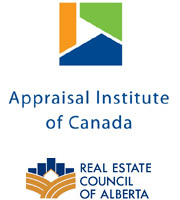 AACI, P.App Designation with the Appraisal Institute of Canada. BComm. Hons U of M. Over 25 years experience in commercial, farm, residential, reserve fund studies, and industrial properties. CRA designation with the Appraisal Institute of Canada. Over 5 years doing residential, farm and commercial appraisals in the Brooks, Drumheller and Medicine Hat areas. B.Sc – U of C. Candidate member of the Appraisal Institute of Canada. Residential for Medicine Hat and area. B.Mgt – U of L. Candidate member of the Appraisal Institute of Canada. Residential, Farm and Commercial for Drumheller and Brooks.